Welcome to the dedicated Gun Rocks website. This project has been made possible through a range funding sources; therefore a big thank you to the project’s supporters who donated through Crowdfunder, the Jubilee Trust and the Heritage Lottery Fund. Gun Rocks is located in the Farne Islands, off the coast of Northumberland, England. 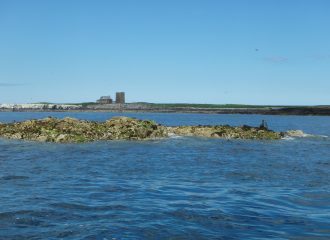 The islands are accessible by boat, generally leaving from the harbour at Seahouses. 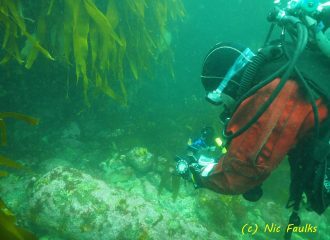 The site can be dived at slack or on a flood tide. The trail is now open for use, download the trail map here, or for more information on how to get to Gun Rocks look at the logistics page. 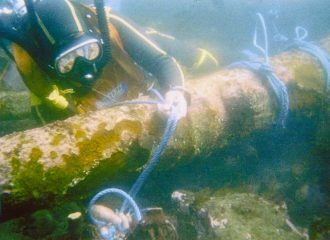 Read on to find out more about this cannon site, and perhaps you can help to solve the mystery of the origin of the cannon!